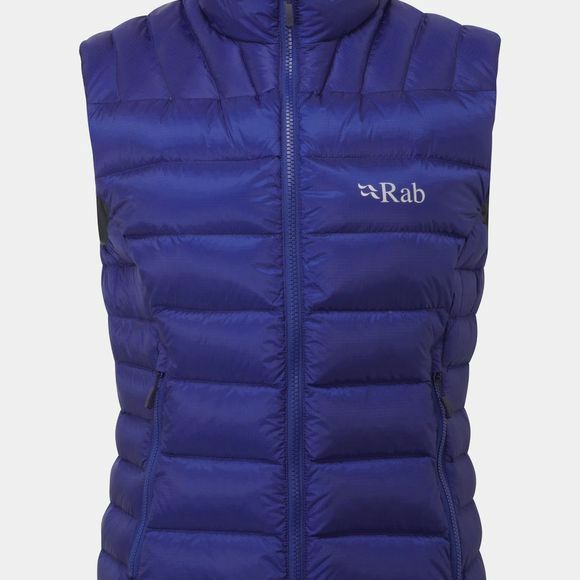 The Women's Electron Vest from Rab will come in handy more often than you think. The durable and water-resistant Pertex Endurance outer fabric offers excellent performance in testing conditions while the down insulation traps warm air to keep you feeling toasty when you need it. The down has been given a hydrophobic treatment developed by Rab and Nikwax to make it resistant to moisture. Whether you need something to wear on a daily basis or you want something in your pack to pull out and throw on when you stop for lunch out on the hill this vest will serve the purpose.